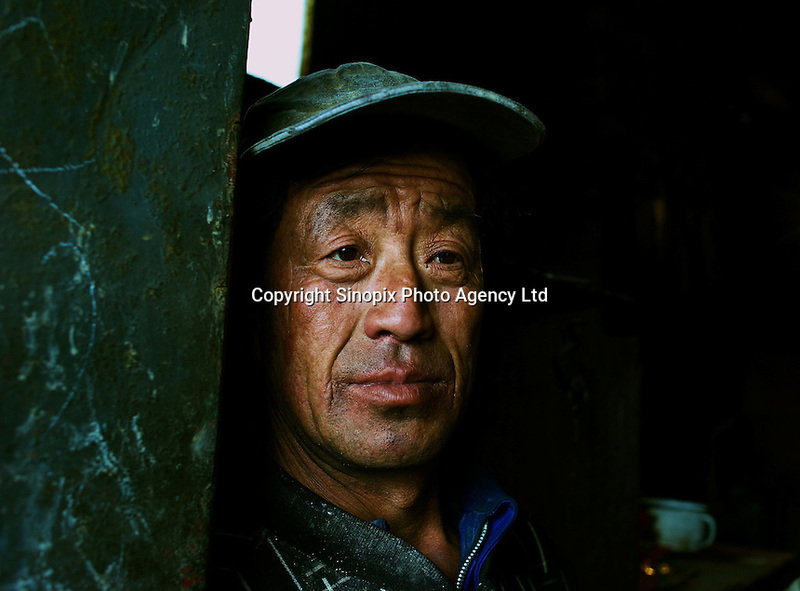 A worker, at a"rare-earth" processing plant near Bayon Obo, Inner Mongolia. The plant conducts first stage processing in extremely toxic conditions where workers complain of acid burns and sores as well as head-aches. The production of "rare-earths" is an extremely poisenous process with plants in the U.S. being closed due to environmental concerns. China accounts for some 97% of rare earth consumed world-wide. The "rare earth elements" are a group of 17 elements that are essential in 25% of modern technology including cell phones, computer hard discs, and electric motors and inparticular green technology such as electric batteries and wind turbines.